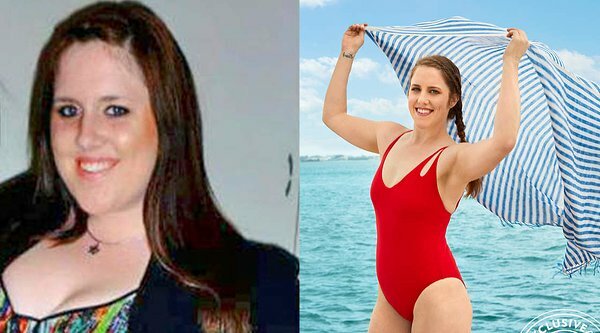 Just 25 years old, Lauren Council had already given up hope of ever losing weight. After years of binge eating, and the pain of losing her mom to breast cancer when she was in high school, the Ripon, California native found herself weighing 270 lbs. But everything changed one night in April 2017, when horrible stomach pain sent her to urgent care. A month later, Council was diagnosed with IBS, or irritable bowel syndrome, and decided — partly out of necessity — to go gluten- and dairy-free, and cut out junk food. Finally ready to make a change, she ditched the soda and candy once and for all. For more on Council and four more women who lost 100 lbs., pick up a copy of PEOPLE, on newsstands Friday. Once she got her IBS under control, Council started working out. Inspired by her late mom, she set a goal for herself. Council ended up meeting that goal earlier than expected — by October 2017 — and set her sights on a new goal: to drop a total of 100 lbs. by early 2018. She easily hit that one as well, in February. She’s now working on finding a balance as she transitions to maintaining her weight loss. But Council is “incredibly excited” about her accomplishment. Council is also sharing the love by helping others reach their own weight loss goals through her Instagram account, @laurenelizhealthylivin.